Should Brett Kavanaugh be stopped from teaching at Harvard Law School? When Brett Kavanaugh was nominated to the Supreme Court, Harvard Law School was exuberant in its praise of his teaching. Now that Brett Kavanaugh’s nomination to the Supreme Court has been confirmed, many law students are demanding that he be punished by ending his teaching career at Harvard Law School. This effort reminds me of the time when I was a student in Brooklyn College in the 1950s, witnessing professors who were fired because it was suspected they might have been Communists years earlier. It didn’t matter whether they were innocent or guilty. Being suspected was enough to make them unsuitable to teach students, especially if they had pleaded the Fifth Amendment or angrily condemned the Un-American Activities Committees of Congress. After the accusations of sexual assault emerged, “hundreds of Harvard Law Students walked out of class . . . to protest Kavanaugh” demanding that he be barred from teaching, according to The Crimson. It also reported that students at a viewing party of the Kavanaugh testimony “applauded” and “burst out in cheers when Kavanaugh lamented the fact that these allegations may prevent him from teaching again. Harvard Law School has announced that Kavanaugh would not teach in winter term 2019. Although Harvard claims that it was Kavanaugh who decided, before he was confirmed, not to teach next semester, there can be little doubt that whoever made the decision, it was influenced by the student demands that he not be allowed to continue teaching. To be sure, Kavanaugh would not have been my nominee of choice, since I am a liberal Democrat who strongly believes that Merrick Garland was improperly denied his seat on the court. Nor do I have any idea about whether I would have enjoyed his course were I a student. These issues are beside the point. The court will now be seen as yet another hopelessly partisan and tribalized political institution. 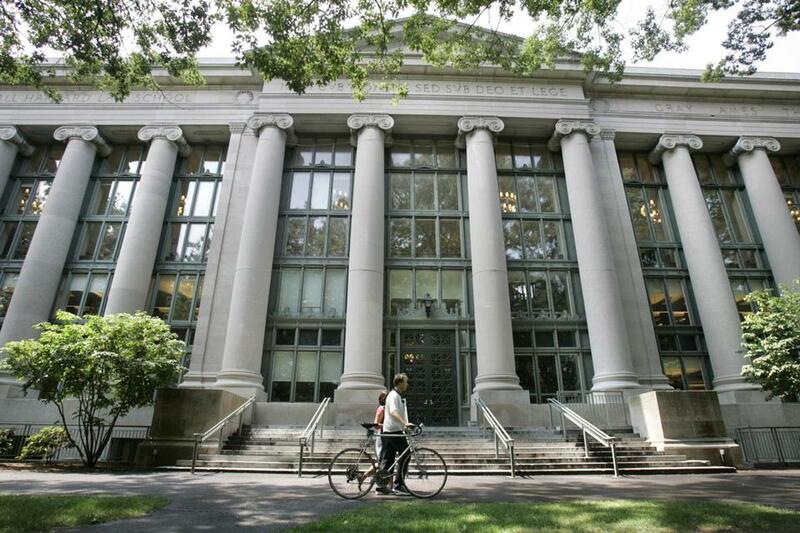 Despite his lack of tenure, there is a long tradition at Harvard Law School to encourage judges to continue to teach in the winter term, if they satisfy the general academic criteria and receive excellent student evaluations. I do not know Kavanaugh, though I encountered him once or twice in the faculty lunchroom. This is not so much about Kavanaugh as it is about a new form of McCarthyism that is quickly descending on university campuses and spreading throughout the country. Nor has this successful effort to end Kavanaugh’s teaching career based on neutral or objective standards that are equally applicable to all suspected serious crimes, regardless of the political or ideological backgrounds of the teacher. Recall that former terrorists, some of whom were convicted of causing or intending the deaths of innocent people, are now teaching at several American universities. Consider the cases of former Weather Underground members Kathy Boudin and Bill Ayers. Boudin was convicted of complicity in the murder of police officers, served her term, and is now a member of the faculty and co-director of the Center for Justice at Columbia University. Ayers, who has boasted of his past association with terrorism, recently retired from a faculty position at the University of Illinois at Chicago. I am aware of no efforts to deny them their teaching positions. Had Boudin been a left-wing male who had completed a prison term for sexual assault, I’m certain that many of the same students who now oppose Kavanaugh teaching at Harvard Law Scool would be demanding the right to take a course from the convicted terrorist. Is what Kavanaugh been accused of — whether truthfully or falsely — really worse than participating in the murder of innocent people? How can this double standard be tolerated by thoughtful students and faculty members? Do we really want to distinguish between alleged crimes committed by people of the left and people of the right? Before a teacher is terminated on grounds such as those at issue in the Kavanaugh case, neutral and objective standards equally applicable to all must first be established. There cannot be ad hoc decisions based on mob-rule and political correctness demands of the day. These standards have not been met in the Kavanaugh case. He should be invited to continue to teach. I would understand if he declined the offer, but fairness demand it should be his decision to make. Students should, of course, have the right to refuse to attend his class for any reason or no reason, but as long as there are students, no matter how few, who wish to learn from him, they should be accorded the opportunity to do so, regardless of other students might think. Correction: Due to a reporting error, an earlier version incorrectly stated the university Bill Ayers was associated with. Ayers recently retired from a faculty position at the University of Illinois at Chicago.